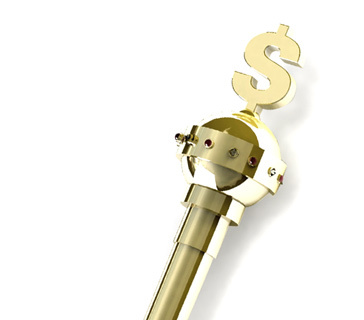 What does the term "guarantee" mean in the world of poker? 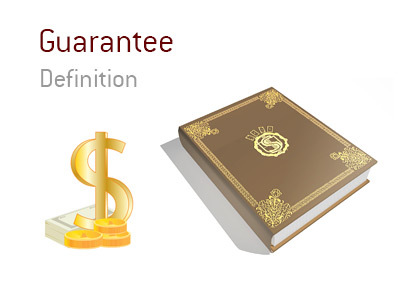 What is the definition of the term "guarantee" in poker? Casinos and online poker rooms will often offer "guarantees" on their tournaments in an attempt to increase turnouts for events. For instance, you will be much more likely to play in an event that has a $1 million guarantee rather than an event that has no guarantee. When tournaments have "guarantees", this means that the casino or poker room is guaranteeing that there will be a minimum amount of money in the prize pool. For instance, if a tournament has a $1 million guarantee, this means that the casino or poker room is guaranteeing that they will pay out $1 million, regardless of the turnout for the event. In some cases, a tournament may have less entrants than expected, which could result in an "overlay". An overlay occurs when a casino or poker room overestimates the size of the field and has to put their own money into the prize pool in order to meet the guarantee. For instance, if 200 people pay $500 to enter a tournament and the casino or poker room has guaranteed a total prize pool of $200,000, this would mean that the tournament organizers would need to put $100,000 of their own money into the prize pool in order to meet the guarantee.